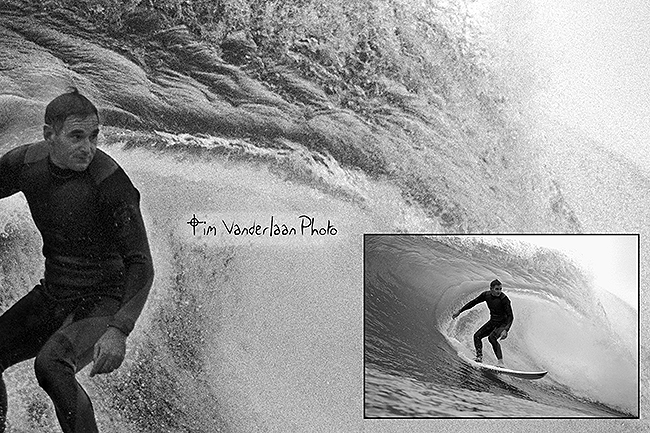 One of the best Island barrel riders in the 80’s and 90’s photo Butto . From the sport pages of the “Pictorial News” in April 1984 Chris Iredale is the King of Greenhills after winning the Easter Classic. 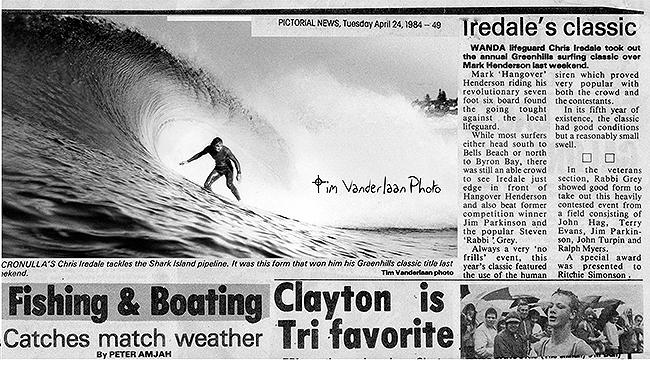 In the 80’s Chris Iredale was at the peak of his surfing powers and he was especially at his best at getting barreled at Shark Island on the biggest and heaviest days. 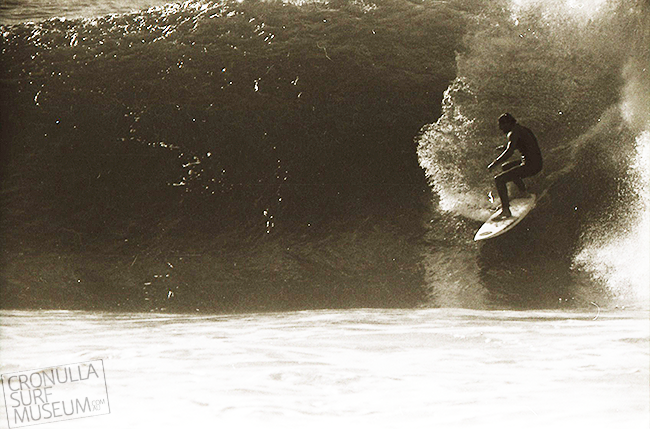 Back then the scores of boogies were far and few and Chris had his big wave line down and made the deadly slabs look easy to make. 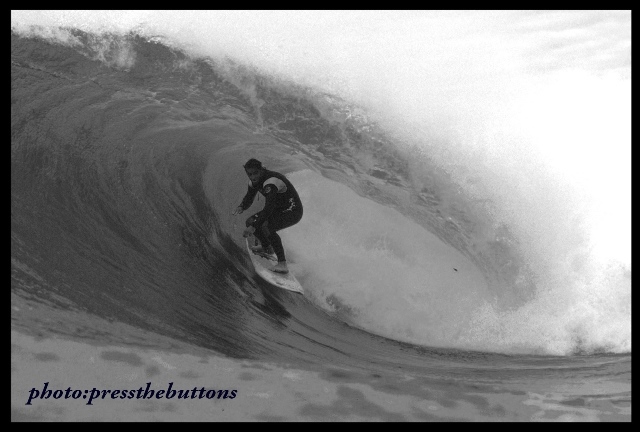 Anyone who has surfed the Island when its slabbing knows how difficult it is to ride this wave. Chris had it mastered. Photo Tim Vanderlaan. As a lifeguard for several decades, Chris Iredale has probably spent more time in and around the waves at Cronulla Beach than anyone else. A red hot surfer in his own right, Chris has spent much of that time inside barrels looking out. 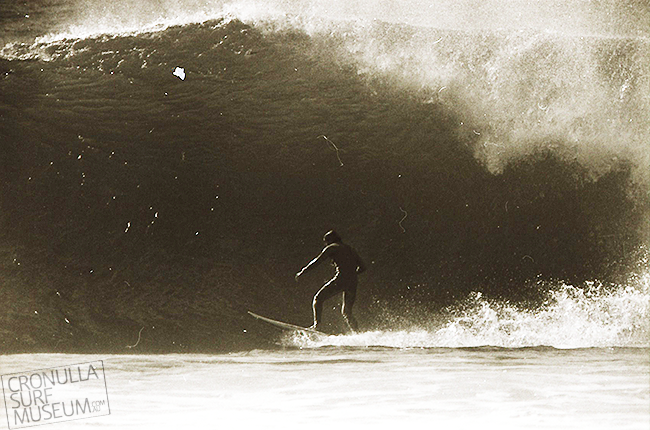 This shot of Iredale was taken at The Point around ’79 by Chris Stroh.